The Illinois Learning Technology Purchasing Program (ILTPP) issued a Request for Proposals (RFP) for Chromebook Computing Devices on behalf of its K-12 member institutions. The purpose of this RFP was to identify and award contracts to provide volume price agreements and fulfillment services for the consortium members. All proposals have been reviewed and those that have been selected have been notified as of of February 21, 2018 of the intent to award. ILTPP is in the process of signing agreements. Consortium members are encouraged to the review the solicitations and selected re-sellers. 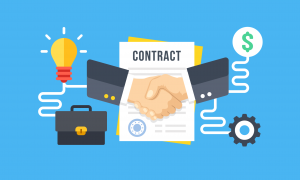 Additonal communication of contracts and products will be presented and available for member use within 30 days of signed agreements.